KnowledgeLab Consulting principal Jack Bobbitt has over 34 years of practical business experience utilizing maximum performance principals to achieve extraordinary results. A list of associations attended by KnowledgeLab Consulting. KnowledgeLab is not your typical consultancy. We do not tell you what you already know. We work to harness the creativity of your organization, with minimal disruption, to discover new information and provide actionable plans. Many in the consulting industry have spent their careers developing theories and writing white papers. We have lived it as senior managers with a record of results in large corporations, start-ups and in the Federal Government. KnowledgeLab is founded on the concept that business is run by people…management, employees, customers and suppliers. An astute consultant can create a winning management, technology, sales or marketing strategy but do they appreciate the importance of people and processes. No matter how innovative a strategy or plan, if it does not have buy in by your employees and attacks the minutia of poor processes it runs the risk of failure. Even more important, does it take into consideration your customers and suppliers? KnowledgeLab understands that without a systematic approach even the best ideas can fail. Are you automating poor processes? Will employees embrace and ultimately accept new systems? You need a plan that takes these issues into consideration and overcomes them. We know how to develop strategies that encompass all aspects of success. KnowledgeLab was founded by someone who has lived the experience of growing a business both large and small. Mr. Bobbitt served as senior advisor to the Federal Housing Commissioner for strategic planning at the Federal Housing Administration (FHA) a billion dollar federally owned mortgage insurance company with over one half trillion dollars of insurance in force. At FHA Mr. Bobbitt developed a highly effective account management and marketing department, quality program and information technology systems. He has also founded a software start-up, and has held the titles of Sr. Vice President of Sales and Marketing for an e-commerce software company, President of a Client Server Integration and Consulting start up and managed Marketing and Sales operations for a national multi-billion dollar computer reseller. Other positions included Branch and Sales Manager and sales professional for Xerox Corporation and Lanier Business Products. In addition to Mr. Bobbitt's corporate experience, he has over sixteen years of experience as a White House Staff, Lead Advance Representative managing a team of White House staff accountable for trip logistics for the President of the United States. As Lead, direct all aspects of Presidential activities during visits outside of the White House. Coordinate trip logistics with national leaders, US Secret Service, White House Communications, and military agencies. Specific expertise and duties included budget responsibility sales, management, profit and loss, compensation, sales training, process re-engineering, accessing venture capital, business acquisitions, marketing plan development and business event management. Additional experiences include development of sales training and support programs, customer satisfaction, operational consolidations, business plan development and merging purchased companies. Mr. Bobbitt developed the business plan and started a National Distribution Sales Division to sell products to the VAR market. His education includes a BBA from The University of Texas at Austin in marketing and numerous sales and management training courses. KnowledgeLab Consulting principal Jack Bobbitt has over 33 years of practical business experience utilizing maximum performance principals to achieve extraordinary results. His career history is threaded with accomplishments in expanding market share and building value for large corporations, the Federal Government, start-ups, turnarounds, and high growth companies. Mr. Bobbitt is an aggressive result driven executive with a record of reducing costs while improving organizational performance. 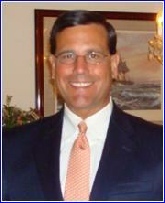 Mr. Bobbitt's focus has been concentrated in senior management, sales, marketing, information technology, enterprise software, utilizing quality and business process re-engineering techniques. A Pictorial of Mr. Bobbitt’s career highlights working for the White House.